The flag of Hawaii known as Ka Hae Hawai'i is a historic flag that has been used to symbolize Hawaii as a kingdom (including under a short British annexation), a protector, a republic, territory and finally as a US state. The flag contains the British Union Flag in the top quarter closest to the flag mast. 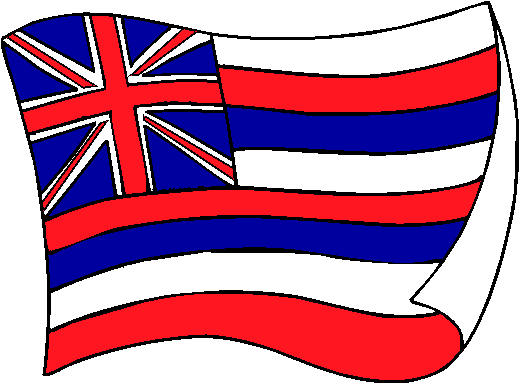 The rest of the flag consists of eight horizontal stripes symbolizing the eight major inhabited islands: Hawai'i, O'ahu, Kaua'i, Kaho'olawe, Lana'i, Maui, Moloka'i and Ni'ihau.